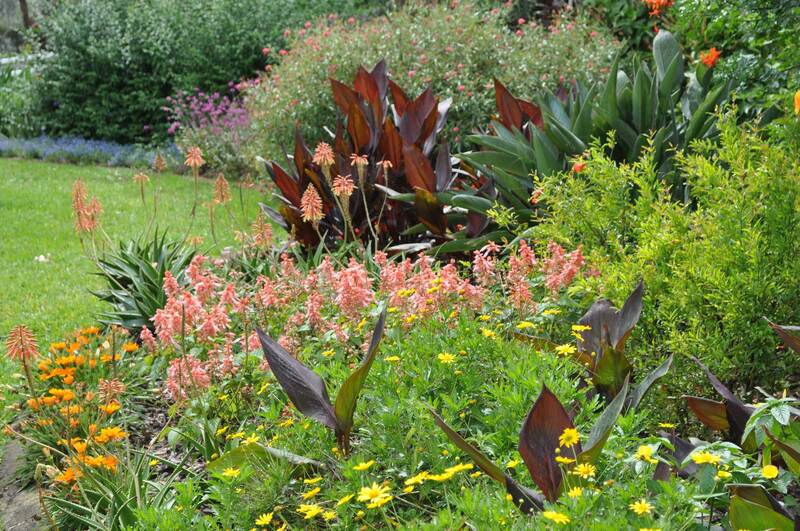 One of the main objectives many aspire to when they begin to garden is a tantalizing display of color. 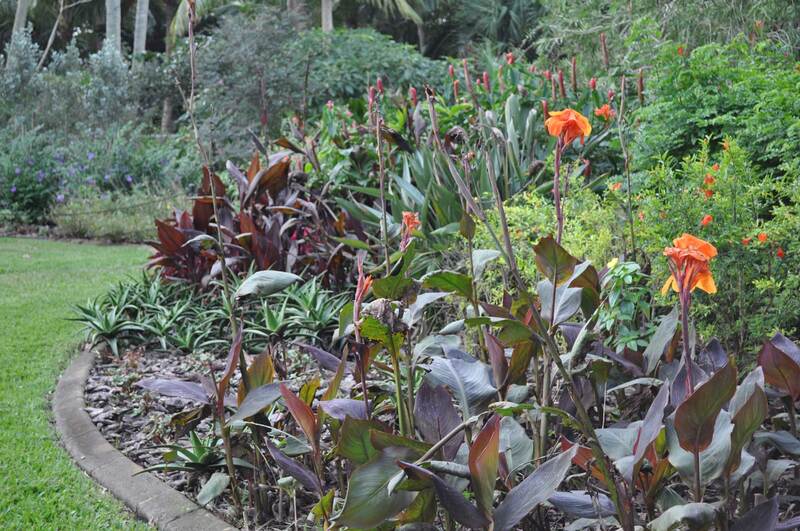 The Rainbow Border amasses an abundance of flowers and foliage to give maximum impact to the eye. 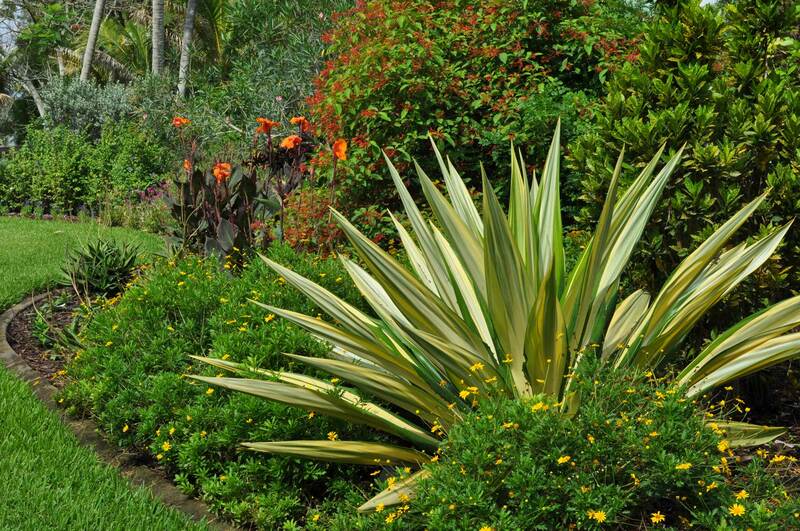 Arranged in a spectrum of color hues, this full sun garden showcases a wide variety of plants that grow well in Palm Beach County, Florida. Careful study and selection of appropriate plant material can allow one to achieve year-round color in our region.